Two members using their "other cars"
"Here's a shot of what a couple of our members do when they're not in their TRs! 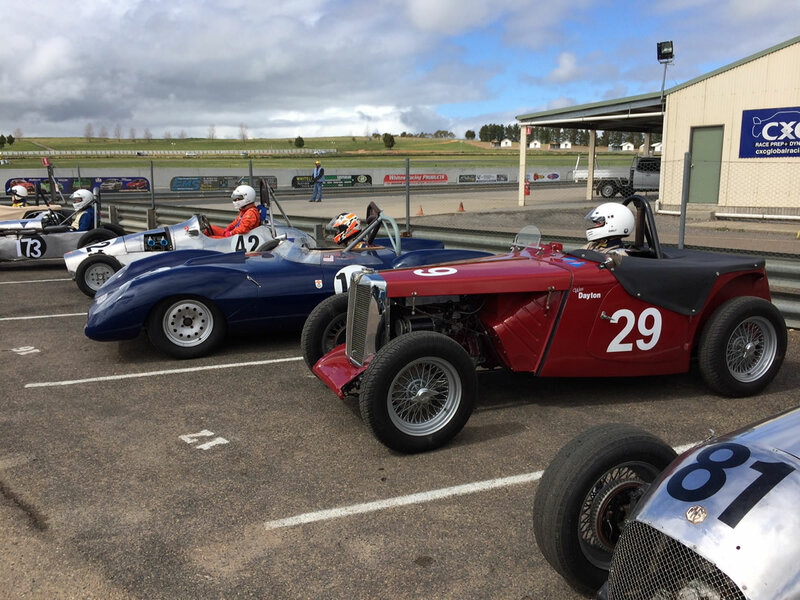 We have John Murn in his navy blue Decca Major and Wes Dayton in his crimson MG TC on the dummy grid at Wakefield Park on 19/20th Sep.
By the way, Andrew Gibson was there competing in his TR3A also. ".